An isofix car seat is one of the safest ways to transport your baby from A to B. They connect to an integrated system that exists in most cars and they have been designed to perform highly in the event of crash, absorbing shock and preventing the seat from dislodging. Before you buy an isofix car seat, you need to make sure that your car features the correct fixtures and fittings. Which? have put together a detailed guide about isofix car seats, so make sure you familiarise yourself with what you need to look out for before you buy. With regards to the isofix car seat itself, you need to ensure that you purchase a car seat within the right group. 0 and 0+ seats are suitable for birth upwards, with the 0+ lasting right up to 15 months. Once your baby has surpassed the weight boundaries of a group, you’ll need to upgrade the seat to the next group up, and if you purchase an i-Size seat, like the Maxi Cosi Pebble Plus, you’ll have to consider their height, too. The Maxi Cosi Pebble Plus is suitable for birth upwards and is full of design features that make it one of the best in the business. From the high-tech side impact protection to the baby-hugg inlay that offers extra protection, support and comfort, you can adapt the car seat as your baby grows, with the harness and head hugger adjusting together. The car seat is also compatible with a range of pushchairs to form a convenient travel system. The Jané Grand car seat has the ability to adapt as your child grows, transforming it from a car seat for babies under one year old to a booster seat for when they get older. There’s the addition of a top tether to prevent the car seat from rotating, anti-misuse straps to prevent you from installing it incorrectly, easy headrest adjustment and a reclining lever to ensure your child is sat in the most comfortable position for them. Although this Recaro Zero. 1 i-Size is costlier than the other isofix car seats on the list, it does offer convenience when it comes to travelling with your baby. The car seat features a lightweight removable carrier so you can move your baby from the car to your destination without disturbing them, and the carrier is also compatible with a range of strollers, including the popular Bugaboo range. Featuring a five point HERO harness system, advanced side impact protection and three recline positions, this car seat offers a combination of safety and comfort. The rearward position is the safest direction for your child and many experts believe the longer you can leave them facing that way the better. This car seat has been specially adapted to provide your child with the right amount of legroom, with the click-in system enabling you to change seat position easily. There’s also a one-hand recliner system with five rearward facing positions and three forward facing positions, plus a 12 position adjustable headrest. With a special energy-absorbing shell and unique side impact protection, this isofix car seat is all about combining superior safety and comfort. You can also click the car seat into a pushchair, making it a convenient travel system. 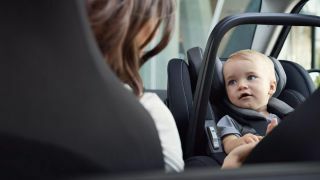 From the memory foam head to the integrated sun hood, there are features that make this an excellent car seat, and one worth spending that bit more on. This award-winning car seat is certainly worth considering, especially when you know that you don’t have to make any further investment until your child is roughly 12 years old. Optimised for rearwards facing throughout their younger years and forward facing once they reach 9-18kg, this isofix car seat features all the necessary safety features required for every stage of growth, including a reinforced steel inner seat shell, guard surround safety for additional side protection and a multi-height headrest and harness system.